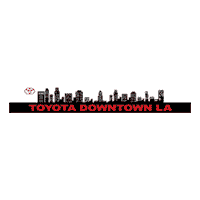 Toyota of Downtown LA is proud to offer you many Toyota Lease options. There are many benefits to leasing versus financing. Here we will provide you with all the information you need regarding Toyota Lease options so that you can make an informed decision. Toyota of Downtown LA is always offering the latest incentives and lease options from Toyota. Here is a list of features that could benefit you if you choose to lease. Whatever you choose to do, you can trust our staff to assist you in every way possible.